Innovation and constant technological update is the only way forward for modern Food & Beverage companies, in order to make safe, quality and competitive products. FOODTECH, a new international trade show, is the answer to the sector’s need for modernization and evolution; a trade show targeted at the production, packaging and handling technologies of Food & Drinks, and directed to owners and executives from the sector’s productive and commercial enterprises. 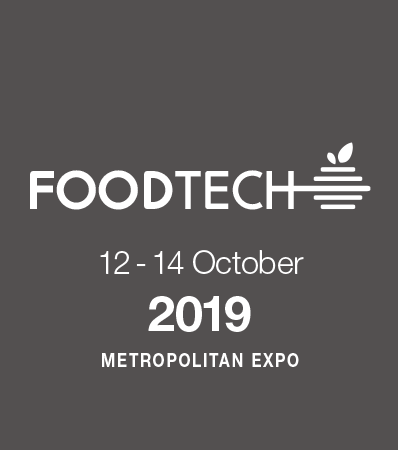 FOODTECH, a premium and 100% F&B targeted trade show, will be held at the Metropolitan Expo, the largest and best exhibition center in Greece. The 1st FOODTECH will take place on October 12, 13 and 14 October 2019, a set of strategically planned dates. This is the perfect time for your clients to organize and budget their capital projects for the coming year. At FOODTECH, thousands of food and beverage professionals will gather to make deals and form partnerships. Our vision is to turn FOODTECH into one of the largest and most significant trade shows, dedicated to F&B Technology and Processing. A meeting point in Southeast Europe for hundreds of Greek and international exhibitors and a real pole of attraction for thousands of trade visitors from Greece and global target markets.